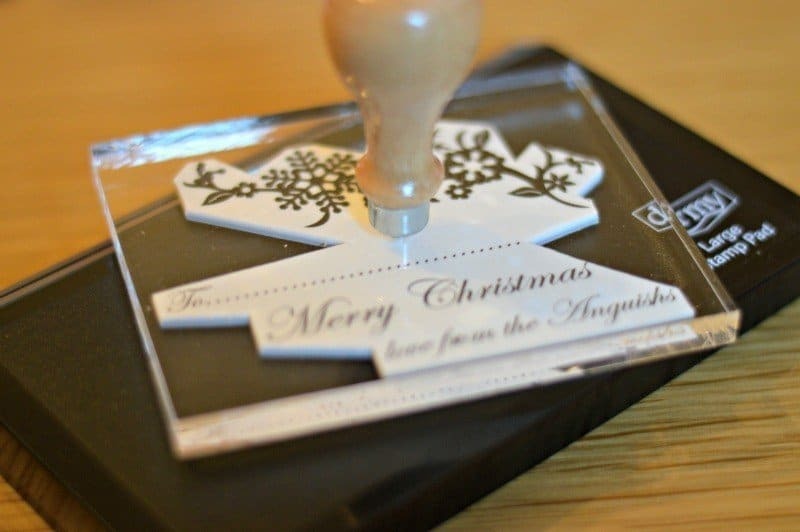 After seeing just how wonderful and useful Stamptastic’s clothing stamps are when I was getting ready for back to school this year I was thrilled to see that they had a range of Christmas stamps available. This year I have been determined to be more organised when it comes to Christmas and part of this organisation is looking at ways I can make my life easier. The largest stamp available from Stamptastic measuring 105mm x 75mm is the perfect way to blitz your way through your Christmas card list. You’ll require one of their large colour inkpads available in red, blue, black, green or violet priced at £8.00. 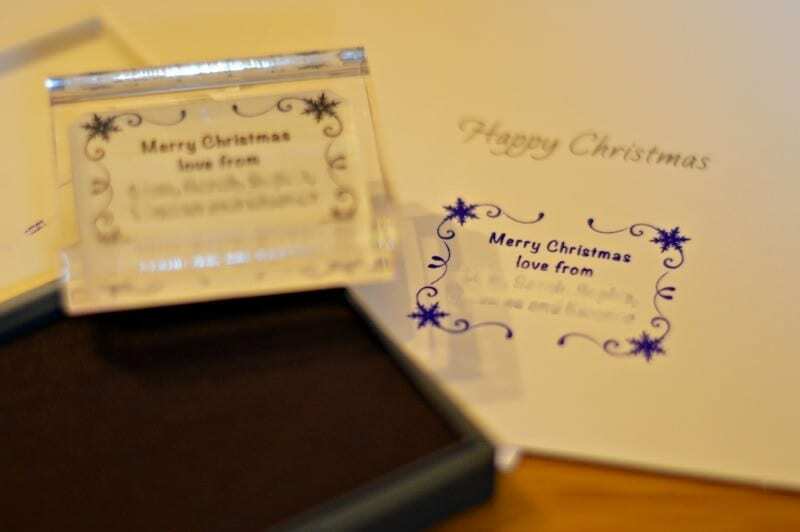 The Merry Christmas stamp is the perfect way to add that festive message to labels, envelopes and Christmas cards. Measuring 38mm x 50mm it won’t fit on the standard inkpad so will require one the small colour inkpads priced at £3.50 and available in a range of different colours. With many of us sending Christmas cards and gifts around the country the classic address stamp will make things easier and quicker when adding your address details inside cards or on the packaging. Measuring 38mm x 50mm it is large enough to be read easily without taking up too much room. It will require one of the small colour inkpads priced at £3.50 as it is too large to fit on their standard inkpad. These Stamptastic Christmas stamps are so easy to use and provide a clean image time and time again making my Christmas preparations much easier. With a selection of different coloured inkpads, it also allows me to coordinate with my cards, labels and wrapping paper. Those are great, I am wrapping with brown paper and string and those stamps would make the ideal finishing touches. Lovely and pretty stamps! It is always nice to be able to be organised, in our house there are 3 birthdays on the run up to Christmas, so many jobs for Christmas get left to the last minute….usually the writing of the cards! Need to be more organised this year as we will need to post internationally! Eeek! They look lovely! 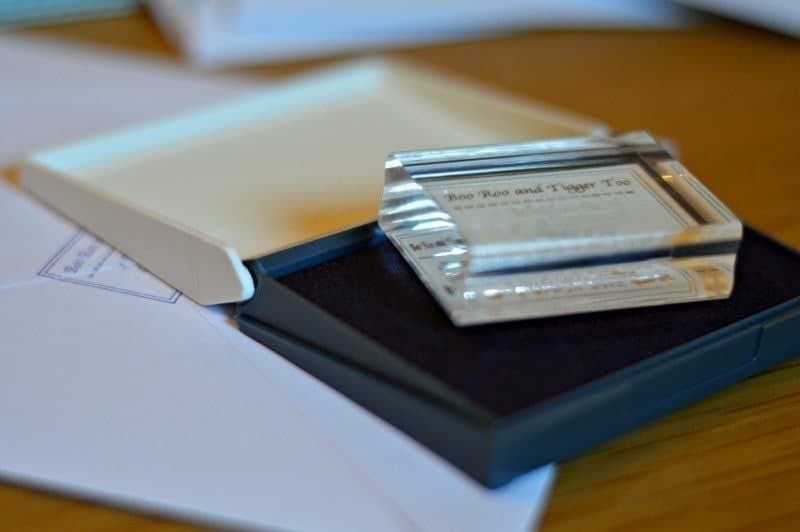 I could really do with an address stamp, it would be so handy as I’m always writing our address on the back of envelopes so that people know they have our current address and as a return address on parcels. And for filling out all those draw tickets for the school Christmas fete!